The Tyler Prize Executive Committee announces the awarding of the 2008 Tyler Prize for Environmental Achievement on its thirty-fifth anniversary to Dr. James N. Galloway, and Dr. Harold A. Mooney. James Galloway elucidated the concept of the “nitrogen cascade” to describe the impacts of fertilizer and fossil fuel byproducts; Harold Mooney helped transform ecology into a global discipline. The “nitrogen cascade” represents the myriad, complex and linked impacts that molecules of reactive nitrogen can have in the environment of the land-atmosphere-ocean system. The “nitrogen cascade” concept defines the major human induced perturbations of the nitrogen cycle of the earth and their present and continuously growing impacts on terrestrial and aquatic ecosystems. These include eutrophication and acidification of soils, lakes, streams and estuaries, the development of hypoxia in ocean waters, as well as the effects of increasing fluxes of nitrogen oxides on global climate change. Galloway is both a pioneer and an exceptional leader on global biogeochemical issues focusing on documenting and understanding the massive changes that are occurring in the global nitrogen cycle both through his own research as well as fostering a major international effort. He has chaired the International Nitrogen Initiative for the last 4 years which has pooled worldwide knowledge on the complexities of the nitrogen cycle, how humans are altering it, and what the consequences of these human induced alterations are. He has led major efforts to synthesize the vast body of literature on the natural and human dimensions of the nitrogen cycle at regional and global scales. He has engaged and brought together colleagues across the spectrum of the basic sciences of terrestrial and aquatic systems, the agricultural and industrial food sectors, energy production, economics and environmental policy related to nitrogen. With his collaborators, he has been among the first to demonstrate the consequences of the intensification of agricultural practices in Asia, particularly the increase in meat consumption, on global nitrogen dynamics. Dr. Galloway was born in Annapolis, Maryland at the Naval Academy Hospital on October 26, 1944. He obtained his B.A. in Biology and Chemistry in 1966 from Whittier College, Whittier, CA and his Doctor of Philosophy in 1972 in Chemistry from the University of California, San Diego/La Jolla, CA for his studies on “Man’s Alteration of the Natural Geochemical Cycles of Selected Trace Metals”. He was a postdoctoral associate in Ecology and Systematics at Cornell University in Ithaca, NY from 1974-1976. He began his academic career as an Assistant Professor in the Department of Environmental Science at the University of Virginia, Charlottesville, VA in 1976. He rose through the academic ranks at UVA to become a full professor in 1988 and served as the Chair of the Department from 1996 to 2001. He has been a visiting scientist (summer) at the Marine Biological Laboratory in Woods Hole, MA, since 2001. 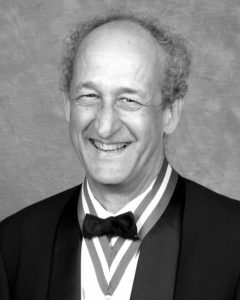 Dr. Galloway is a Fellow of the American Association for the Advancement of Science and the American Geophysical Union (2008). He has served as a Trustee for the Bermuda Biological Station for Research, Inc. St. Georges, Bermuda since 1983 and as President of the Trustees from 1988- 1995. He has been a Sesquicentennial Associateship Visiting Professor at the University of Toronto (1982), Sesquicentennial Associateship Visiting Fellow, United Kingdom Research in Atmospheric Chemistry, Coordinating Committee, University of East Anglia, Norwich UK (1988); a Visiting Scholar at the International Institute for Applied Systems Analysis, Vienna, Austria (1995); and appointed a Guest Investigator at the Woods Hole Oceanographic Institution, Woods Hole, MA in 2002. He was appointed to the executive committee of the Environmental Protection Agency’s (EPA) Sciences Advisory Board (2003-2006). He has received numerous honors and awards. In 2006 he was cited by ISI (Institute of Scientific Information) for his 2004 Galloway et al. paper in Biogeochemistry entitled “Nitrogen Cycles: Past, Present and Future”, as the third most cited paper in the field of ecology published within a two year period. In 2003, he was named as a “highly cited researcher” by ISI in 3 separate categories: Ecology/Environmental Science, Geosciences, and Engineering. He was awarded the Environmental Sciences Department graduate student teaching award in 2002/2003. In 2001 he received both the Graduate Student Association Award and the Environmental Science Organization Award from the Department of Environmental Sciences. Also in 2001 he received the Steward of the Month Award from the Virginia Center of Stewardship. In 1990 he was given the Excellence in Service Award for outstanding service in Protecting Park Resources, National Park Service, Lauray, VA. 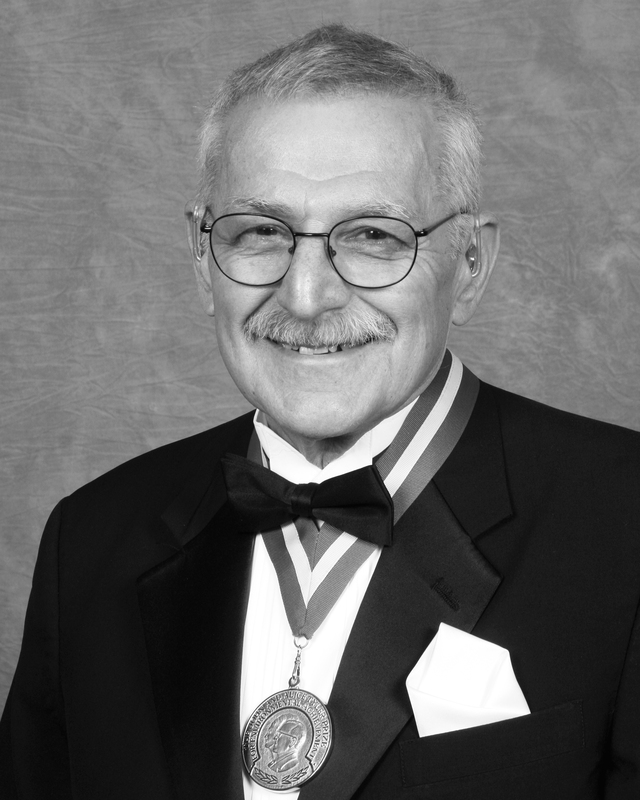 He was one of 5 recipients of the President and Visitors Prize, Sigma Xi Society, University of Virginia in 1986. Dr. Galloway has published over 200 articles, book chapters, reviews and reports with over a half dozen of them in Science and Nature magazines. He has over 53 first authored peer-reviewed publications and 28 book chapters. His papers have been cited (according to ISI) in over 7,700 articles. He has served on numerous National and International Committees including committees of the World Meteorological Organization (WMO), National Academy of Sciences (NAS), American Meteorological Society (AMS), National Park Service (NPS), Environmental Protection Agency (EPA). Professor Galloway has been a key voice in raising the scientific and public awareness of the major human perturbations on the global nitrogen cycle directly through his research and his superb leadership in organizing the research community to address this critical area. The 2008 Tyler Prize for Environmental Achievement is being awarded to Professor Harold A. Mooney in recognition of his contributions to earth system science through his research on local and global biogeochemical processes as modified by human impact, and alerting the international community to the environmental consequences of these modifications. Professor Harold A. Mooney is honored for his contributions to community ecology by integrating population and physiological studies at the global scale, the application of convergent evolution to community structure, and as a central figure in launching many major international ecology programs. Over the last four decades, Mooney has made important contributions in three interlinked areas. He has advanced the basic science of ecology at the global scale through his own research, beginning with his early studies on the physiological ecology of plants over broad geographic ranges. These studies clarified the nature of plant adaptations in harsh environments. He has been a leader in developing an international community of ecologists and other scientists, including social scientists, through his involvement in a large number of major international ecology programs, beginning in the 1960’s with his involvement with the Scientific Committee on Problems of the Environment (SCOPE) and continuing through his work with the International Geosphere-Biosphere program (IGBP), The Global Biodiversity Assessment (GBA), The Global Invasive Species Program (GISP), and The Millennium Ecosystem Assessment (MEA). He has been highly influential in establishing the societal and political relevance of ecological research and instrumental in making ecological findings available and relevant to managers and policy makers. He initiated a new journal when he was President of the Ecological Society of America, Ecological Applications, which was designed to present ecological findings relevant to management. GBA, GISP and the MEA have all been key in informing the international policy process. MEA in particular provided extensive stakeholder involvement and scientific input to international conventions on biodiversity, desertification and wetlands. Mooney is currently the president of Diversitas, an international program set up by intergovernmental organizations and non-governmental organizations like UNESCO that brings together scientists from all over the world to promote scientific research on biodiversity in order to generate accurate scientific information and predictive models of the status of biodiversity, and to find ways to support a more sustainable use of the Earth’s resources. Professor Mooney was born in Santa Rosa, California on June 1, 1932. He obtained his B.A in 1957 from the University of California, Santa Barbara, CA. He pursued his graduate studies in plant ecology at Duke University, Durham, NC and obtained a Masters of Art in 1958 and his Doctor of Philosophy in 1960. He began his career as an Instructor at the University of California, Los Angeles, CA in 1960 and rose to the rank of Associate Professor at UCLA. He moved to Stanford University, Palo Alto, CA in 1968 and became a full Professor in 1975. In 1976 he was named the Paul. S. Achilles, Professor of Environmental Biology at Stanford. Mooney is a Fellow of the American Association for the Advancement of Science (1964) and was elected to the National Academy of Sciences and the American Academy of Arts and Sciences in 1982. He was elected a Fellow of the California Academy of Sciences in 1993 and the American Philosophical Society in 1995. He became a member of the World Academy of Arts and Sciences in 1998, an honorary member of the British Ecological Society and a foreign member of the Russian Academy of Sciences in 1999. He has received numerous honors and awards beginning in 1961 with the Mercer Award from the Ecological Society of America, the Merit Award from the Botanical Society of America in 1983, the Ecology Institute Prize for Terrestrial Ecology in 1990 and the Max Plank Research Award in 1992. In 1996 he was honored with the Eminent Ecologist Award from the Ecological Society of America. He was given the Nevada Medal of Sciences in 2000. He was a co-recipient in 2002 of the Blue Planet Prize from the Asahi Glass Foundation and in 2007 was awarded the Ramon Magalef Prize for Ecology and Environmental Sciences by the Catalan Government. In January 2008, the BBVA Foundation announced that he is a co-recipient (with Peter Raven, a former Tyler laureate) of the Award for Scientific Research in Ecology and Conservation Biology. Dr. Mooney has published over 480 articles and reports, over a dozen of them in Science and Nature magazines. Mooney’s publications include 35 books edited or co-edited and since 1988 his research has been cited in over 12,000 scientific papers which have earned him a place in the Institute of Scientific Information’s (ISI) prestigious list of highly cited researchers in Ecology and Environmental Sciences. Dr. Mooney has played an international leadership role with regard to problems of biodiversity and global ecological problems. He has been active in helping organize worldwide communities and networks of ecologists and social scientists, has played a central role in building up international organizations of scientists and research programs and has been a pioneer in setting the guidelines for the formulation of global environmental policies. Mooney is a world-class leader in global ecology.